My school has used number sense techniques to teach numbers for many years. I have been using number combinations as a teaching and assessing method. Common Core takes Number Sense to the next level and adds an understanding of place value for numbers and mental math to solve problems to 10. The best way to accomplish these goals is with daily practice and multiple exposures to each number. 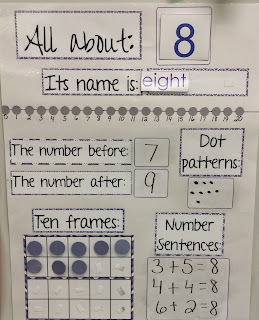 I have seen some great examples of number sense posters on various teaching blogs. But none of them fit my needs. This year I set out to create my own. I decided what I wanted on the poster; the numeral, number word, 10 frame, a place for combinations, what comes before and after, and if possible, a place for dot patterns. I created the poster pieces, printed it, and created the poster you see below. "How many do you see?" I get a choral response, then I remove some dots. "How many do you see?" I pick one student to answer. I write that number in the Number sentences box. I hope you find the number poster helpful. 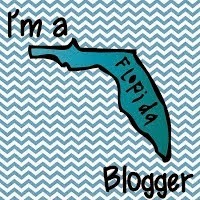 Check it out by clicking on the picture or going to my TPT store. Feel free to ask any questions about the product or how I use it in my classroom.